We have the best deal to finance for Worcester boilers in Wigan at M&R Plumbing & Heating Ltd. If you’ve been putting off replacing your old boiler until you have the cash because you don’t want to pay finance charges, you will love our finance plan. We’ll remove your old boiler and replace it with a new, high efficiency energy saving Worcester Bosch boiler for the standard going price. You won’t have pay us any upfront money or down payment. The balance owed on your new boiler and installation is divided into monthly payments that will fit your budget at interest rates as low as 0%. Your payment could be as low as £19.57 and you can offset some of that cost each month with your lower heating bills. There are no hidden costs to our finance plan. For families in Wigan, finance for Worcester boilers includes everything needed for new boiler installation including our ten year guarantee. 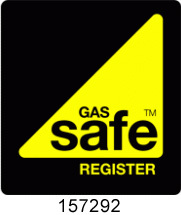 Our engineers are all gas safe registered with extensive experience. They will have your new boiler installed safely and efficiently. You don’t have to wait to enjoy a warm comfortable evenly heated home. You can have it right now. Old boilers have a way of breaking down on the coldest night of the year. Often, that’s because the demand is just greater than an old boiler can meet. If that happens to you we want you to know, you don’t have to worry if you don’t have the cash set aside for this emergency. We’ll have you warm and cosy in no time with no damage to your budget. What we are offering is finance for Worcester boilers in Wigan that are new award winning high efficiency units at competitive prices. Our team is easy to work with and friendly while attending to every safety and service quality detail. Don’t put off until next winter what you could be enjoying now just because of money. We put your family’s comfort first with our no money down, low interest rate finance plan to fit your budget. Contact us for a free, no obligation quote for a new efficient boiler for your home. We’ll help you choose the right one for your home based on the square footage of your home. Your satisfaction is guaranteed.